The regenerating moisture cream is the perfect day and night cream that is rich in antioxidants and helps to reduce the appearance of aging. This moisturizer utilizes a liposomal preparation based on apple stem cell technology to provide long-lasting moisturization, stimulate cell regeneration, and protect against damage from external environmental factors. Skin tone, texture, and clarity are improved by reducing blotchy pigmentation and enlarged pores. It is infused with essential oils that promote firmer, smoother, and more supple skin. To Use: Gently massage onto clean skin AM and PM after use of the Gentle Exfoliant and Facial Toner. PhytoCellTec™ Malus Domestica is a liposomal preparation based on the stem cells of a rare Swiss apple. The Uttwiler Spätlauber is an endangered apple variety that was well-known for its excellent storability, and thus its longevity potential. Laminaria Ochroleuca is a brown algae found in waters high in salinity and subjected to strong radiation variations. This important ingredient has been shown to decrease inflammation and chronic cell aging, stimulate collagen synthesis, and provide DNA and cell protection against UVA, UVB and EMF exposure. Clinical tests show significant improvement in hydration, firming and smoothing in the test subjects. Soline is an oil obtained from a select species of sunflower through a process of molecular distillation. Tests show an immediate and long-lasting improvement in hydration to the outer layers of the skin, and it has been shown to successfully replenish the lipid barrier, which aids in moisture retention in the epidermal layer of the skin. In addition, levels of cerebroside, ceramide, and cholesterol (the building blocks of skin cells) were increased. At the levels used in this product, studies have shown improvements of 50% in dryness, 53% in roughness, and 57% in flakiness. White Birch Bark Extract inhibits elastase and stimulates collagen bundle synthesis to firm and tighten skin. Skin tone, texture and clarity are improved by reducing the appearance of mottled and discrete pigmentation and enlarged pores. It has a potent anti-inflammatory effect to calm sensitive skin. It also protects and refolds proteins damaged by UV and free radical exposure. Dipalmitoyl Hydroxyproline, moisturizes, firms the skin, and reduces the appearance of cutaneous wrinkles. In clinical tests, this ingredient produced significant improvement of dryness and roughness, and increased suppleness, softness and moisturization of the skin. Studies also show a dramatic reduction of wrinkles and fine lines. Polyoprepolymers are a mixture of oligomers of various molecular weights that, when applied to the skin, form a gradient of oligomers; those of low molecular weight penetrate into the skin, while those of high molecular weight stay on the surface of the skin. This material optimizes delivery into, rather than through the skin, depositing and holding therapeutic compounds in and on the stratum corneum and the epidermis. Phytosqualane is a plant derived squalane obtained from the unsaponifiable fraction of olive oil. Squalane is a material found naturally in human sebum, which increases skin respiration, prevents water loss, and acts as an emollient and lubricant. Squalane also imparts a suppleness to skin without a greasy feel, and helps restore lost oils. Rain Forest Organic grade Cupuacu Butter comes from the northern Brazilian rain forest. Cupuacu butter is an excellent emollient that provides a pleasant touch with softness to the skin, facilitating the natural humidity and elasticity with great efficiency in dry and damaged skins. Cupuacu butter contains phytosterols, which act at a cellular level by regulating the activity of the lipids on the superficial layer of the skin. Syn-Coll, an aqueous glycerine-based solution of a small peptide that stimulates collagen synthesis in human fibroblasts. Collagen represents the main component of the dermal extra cellular matrix, which, when altered by chronic UV exposure and the aging process, leads to degenerative changes in the skin. This ingredient actively compensates for any collagen deficit in the skin and makes the skin look younger. An aqueous extract of tamarind seeds, which consist mainly of polysaccharides in their original natural composition, activates the natural protective mechanisms of the skin, improves elasticity and makes the surface of the skin soft and supple. 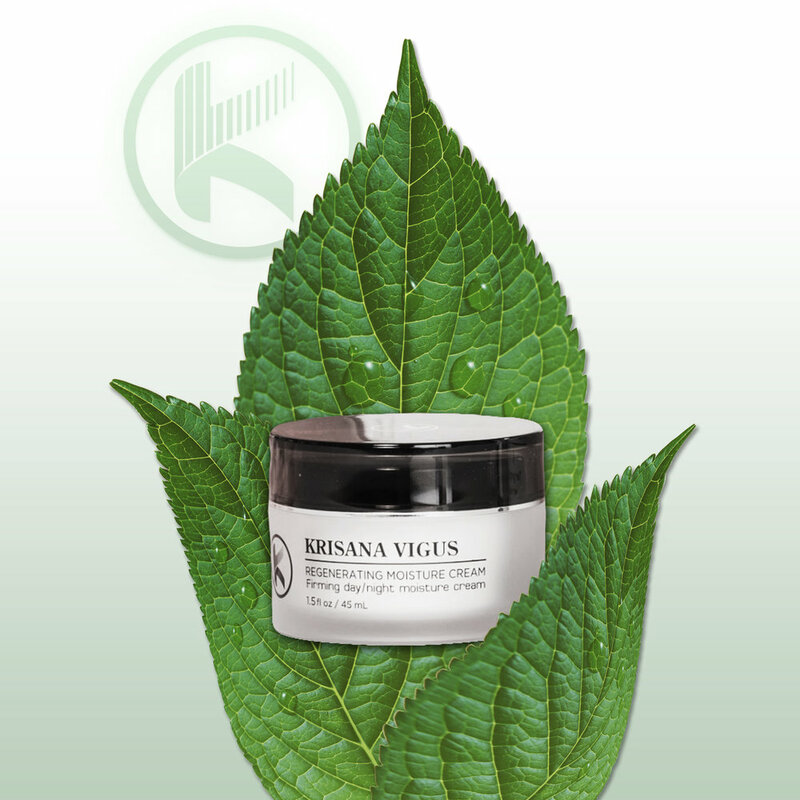 It promotes firmer and smoother skin, and provides protection against premature aging. Marine Algae and Aloe Vera Gel work synergistically to provide a biomolecular hygrosopic moisture barrier, which retards transepidermal moisture loss and helps protect the skin from the harsh effects of the environment. Dex Panthenol (Pro vitamin B5) is a deep penetrating moisturizer with unique soothing and anti-inflammatory properties. Panthenol stimulates cellular proliferation and promotes normal keratinization. Vitamin C is a very powerful anti-oxidant, reduces free radical formation on the skin and also aids in the process of collagen synthesis, thereby reducing age spots and uneven coloration of the skin. Vitamin E moisturizes skin from within, improves skin smoothness and slows down the conversion of soluble collagen into insoluble collagen, while also blocking lipid peroxidation, which can cause cell membrane damage. Olivoil Avenate Emulsifier® is a non-ethoxylated, vegetal derived surfactant that combines the unique fatty acid profile of olive oil with the characteristic affinity of hydrolyzed wheat proteins toward the skin surface. The result is a new emulsifier structure with high skin compatibility and maximum biodegradability. Olivoil Avenate Emulsifier is based on Olivoyl Hydrolyzed Oat Protein, a lipo-amino-acid with a fatty amide structure, showing high inter-facial activity. The lovely fragrance is provided by a Proprietory blend of Lavender, Sandalwood, Frankincense, Vetiver, Vanilla and Chamomile essential oils. Lavender Essential Oil is the most widely used and versatile healing oil. It has been used with great success to treat skin disorders, prevent scarring and promote rapid healing. Lavender oil is also one of the stronger antiseptic oils, with calming and balancing properties. The health benefits of lavender essential oil include its ability to eliminate nervous tension, relieve pain, disinfect the scalp and skin, enhance blood circulation and treat respiratory problems. The Latin name of lavender is Lavare, which means “to wash”, due to its particularly clean aroma. The health benefits of lavender oil for the skin can be attributed to its antiseptic and antifungal properties. It is used to treat various skin disorders such as acne, wrinkles, psoriasis, and other inflammatory conditions. It is commonly used to speed up the healing process of wounds, cuts, burns, and sunburns because it improves the formation of scar tissues. Lavender oil is also added to chamomile to treat eczema. According to dermatologists and aromatherapists, lavender essential oil is one of the most beneficial oils in the treatment of acne. Lavender essential oil inhibits the bacteria that cause the initial infection, helps to regulate some of the over-excretion of sebum by hormonal manipulation, and can reduce the signs of scarring after the acne has begun to heal. Adding a small amount of lavender essential oil to other skin creams or ointments can greatly increase the potential for relief and healing. Frankincense Essential Oil is used to alleviate stress and relieve pain. When used as an ingredient in skin-care products, frankincense essential oil is said to treat dry skin, reverse signs of aging, and reduce the appearance of scars and stretch marks. In addition, laboratory research on human cells indicates that frankincense essential oil may possess immune-stimulating and cancer-fighting properties that could aid in protection against breast cancer and pancreatic cancer. Sandalwood Essential Oil not only smells exquisite, but also has a revitalizing effect on the skin. This oil is suitable for all skin types, but is especially useful as an anti-aging treatment. It has antiseptic, anti-inflammatory and astringent properties. It is very helpful in the treatment of acne, dry, chapped or cracked skin and can help relieve itchy skin. It has been proven to help fade age spots, reduce the appearance of wrinkles and tighten skin. Sandalwood can aid in the treatment of eczema and also can fade ugly scars. Vetiver Essential Oil is very popular in aromatherapy and has many medicinal properties, which are described in greater detail below. Anti-Inflammatory Properties: The very soothing and cooling effects of this essential oil calms and pacifies all sorts of inflammation. It is particularly good at providing relief appropriate treatment for inflammation caused by sun stroke, dehydration and loo, which is the name given to very hot and dry winds prevalent during summers in the dry regions of India and neighboring countries. Cicatrisant Properties: Cicatrisant agents are substances that speed up the eradication or disappearance of scars and other marks from the skin. It also promotes the growth of new tissues in the affected places which replace the dead and discolored tissues and helps achieve a uniform look. This is also useful for post-delivery stretch marks for pregnant women, fat cracks, after spots left by pox, and burns. Antiseptic Properties: In tropical countries like India and its neighbors, microbes and bacteria grow very fast due to the favorable hot and humid climates found in these regions. Then, it becomes obvious that your wounds are most likely to get sepsis in these places since there are plenty of bacteria located there. However, Mother Nature is very kind and she has provided the remedies as well, right in those exact same places. One such remedy is vetiver and the essential oil extracted from it. This oil efficiently stops the growth of Staphylococcus Aureus, the bacteria responsible for causing sepsis and eliminates them. It is totally safe for this oil to be applied externally on wounds or taken orally in order to protect wounds as well as internal organs from sepsis. Vulnerary: This property of vetiver essential oil helps heal wounds by promoting the growth of new tissues in wounded places and also by keeping it safe from infections by inhibiting growth of microbes. Chamomile Essential Oil has been used for centuries in tea as a relaxing aid and for the treatment of colds and fevers. Chamomile is also an effective sedative and is great for those who want to stay calm and relaxed. Chamomile has antiseptic and anti-inflammatory capabilities. The plant's healing properties come from its daisy like flowers which contain essential oils that are beneficial for your skin. Flavonoids which act an anti-oxidant for the body help protect against free radicals that can damage the body. Chamomile can be used internally and externally and is a popular remedy for many different health complaints. Chamomile benefits also include soothing skin rashes, including eczema and acne. It can also help ease minor burns and sunburn. It can be used as a lotion or added in oil form to a cool bath; chamomile also reduces skin inflammation. It may also speed healing and prevent bacterial infection. Bisabolol, which is found in chamomile, has been used in cosmetics for centuries because of its skin-healing properties. Those with hypersensitive skin will find many benefits from this powerhouse flower. Vanilla Essential Oil is helpful in clarifying and clearing the mind, balancing the emotions, and relaxing the body. Vanilla essential oil is also considered to be an aphrodisiac as the scent of vanilla has been shown to stimulate sexual arousal. Vanilla is an antioxidant, which enables it to neutralize free radicals. In a laboratory setting, vanilla has been shown to have cancer-treating properties.